The problem with sleep is that most people know (at least in an abstract kind of way) how important it is, but that doesn’t actually make it any more possible to get enough. Some superhumanly healthy people get a solid 8-9 hours every single night in a completely dark room with perfect sleep hygiene; the rest of us do what we can and make up for it on the weekend. But does that actually work? Is it really possible to “make up” for a week of short sleep on the weekend? And if it is, what does it take to address the metabolic problems of sleep deprivation, not just the feeling of sleepiness? That last part is important: if you just needed to stop feeling sleepy, you could drink coffee. But the point here is to actually satisfy your body’s need for rest, not just artificially feel less tired. One lousy night of sleep can impair glucose tolerance (making it harder to metabolize carbs), increase inflammation, and make good food choices hard. Changes in hunger hormones can ramp up sugar cravings to an extreme degree, and fighting that off day after day is a whole special kind of exhausting. So what kind of recovery sleep can actually address those problems, not just the feeling of sleepiness? The good news is that a brand-new study (from October of this year) found that recovery sleep on the weekends helped improve insulin sensitivity, markers of inflammation, leptin, and levels of hunger hormones. The study looked at men with “lifestyle-driven sleep restriction.” After three nights of a “saturating sleep” (basically letting them sleep up to 10 hours, as long as they wanted), insulin sensitivity improved by 45%. It also increased morning testosterone levels and improved blood sugar control. Other studies have shown that just one hour of catch-up sleep on weekend nights was associated with a lower risk of weight gain and hypertension, but this was the first intervention study showing that the association actually shows a causal relationship. Catch-up sleep actually helps alleviate the metabolic effects of sleep deprivation. So how much recovery sleep is actually necessary to get that benefit? Could you get away with just two nights (Friday and Saturday night, so sleeping in as late as you wanted on Saturday and Sunday morning)? Other studies have suggested that just one night of a full 8 hours isn’t enough to bring down inflammation and immune markers to baseline levels. Even two 8-hour nights didn’t completely negate the effects, although two nights definitely did beat one. It’s possible that two 10+-hour nights might do the trick, or two nights of “saturating sleep” (as long as you want) and a reasonable bedtime on Sunday. But it’s not as simple as just turning off the alarm on the weekends. The big issue with this kind of weekend recovery sleep is that the timing of the recovery sleep matters. Having one sleep schedule for 5 days and then a completely different schedule for the next 2 is weird enough (from your body’s perspective) to cause some potential issues. This study took a look at one very typical sleeping pattern: go to bed late and get up early on weeknights; go to bed later and get up even later on weekends (for more total sleep on the weekends). But the researchers noted that a later wakeup time on the weekends, even just for two days, can shift circadian rhythms to a wake-up-later/sleep-later schedule. Then getting up early stinks even more when Monday morning comes, because your body is now expecting a later wake-up time. 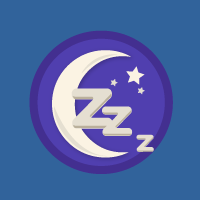 But even worse, the start of “feeling sleepy” comes later on Monday night, so it’s tempting to stay up too late, starting the cycle of sleep deprivation all over again (and not to mention making Tuesday feel even worse). The researchers went over a bunch of studies where this happens in adults – just two days of later wake-up times is enough to shift sleep/wake patterns later. Then they did an experiment on teenagers to see if it worked the same way (it does). But the interesting part is the experiments they tried to see how people can get more sleep on the weekends without shifting sleep-wake patterns later. The first intervention was to stick with a weekday wake-up time, but add an afternoon nap so that the subjects’ total sleep time was longer on the weekend. 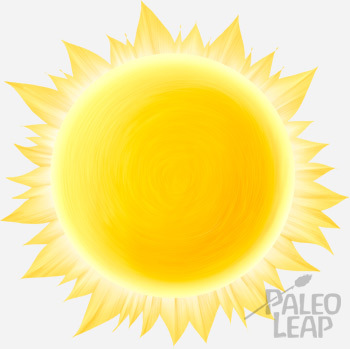 Sun-spectrum light is an important “wake up now” signal. The researchers tried to use it to avoid training the study subjects’ bodies to a later sleep schedule. light when they work up. Since light is such a powerful driving signal for circadian rhythms, the researchers thought that light exposure might do the trick even if the subjects’ chronological wake-up time was later. Unfortunately, neither of the experiments worked as expected. The teenagers still had delayed sleep-wake patterns after both interventions. The researchers in that study let the teenagers go to bed late as a concession to reality. IN the real world, most teenagers are going to go to bed later on the weekends, so how could they work with that to minimize the damage? A better strategy might be to keep the same bedtime and the same wake-up time, on the weekends and on the week, but add a few extra hours of sleep with a nap in the afternoon. That would get the extra sleep time for recovery, but avoid the circadian problems involved in a dramatically different sleep schedule. That idea seems to be supported by other studies finding that napping does help reduce the physiological and immune damage of sleep deprivation – not completely, but it does. Sleep deprivation isn’t healthy, but sometimes it’s just a fact of life. New research on the metabolic effects of sleep deprivation (like insulin resistance and worse blood sugar control) can give us a better idea of how to recover from it – what kind of recovery sleep works best, how much is necessary, and what kinds of timing plans work best to avoid a “sleep hangover” on Monday. Keep the same bedtime and wake-up time on the weekends. Take a nap on weekend afternoons to make up some sleep time. It’s not quite as simple as just sleeping in until noon, but it could be the best of both worlds for getting recovery sleep without making Monday morning even worse than it has to be.